I am an Equity Partner of ABD based at and managing the firm’s Marlborough office. I live in a village just outside of Marlborough with my wife and our baby son, who at the time of writing is 4 months old. I am based in the firm’s Commercial Department and have particular expertise in Development, Commercial Property and Agricultural Property as well as specialising in complex and high value Residential Property matters and Company Law. I act for a wide range of clients locally and further afield, with a particularly strong portfolio of London property work. I started my career at ABD in September 2004 having deferred my place at the University of Nottingham where I was intending to study English. Having always been interested in the legal profession, I felt that one year of work experience in a law firm would give me a solid foundation for potentially entering into a career in the legal profession once I had completed my academic studies. It was not long before I started researching other routes to qualification as a lawyer and I took the decision to enrol with the ILEX Tutorial College with a view to becoming a Fellow of the Institute of Legal Executives (FILEX). After completing academic studies stretching over a 5 year period, I qualified as one of the youngest legal executives in the country during my mid-20s. I was particularly proud of this achievement having undertaken a programme of part-time studies whilst running a full caseload in ABD’s Litigation Department. I quickly decided to investigate the route to progressing to qualify as a solicitor. I was advised that I had to undertake the Graduate Diploma in Law (GDL) in order to sit the Legal Practice Course (LPC). I enrolled on the part-time GDL at the Leicester Institute of Legal Practice and completed the course with a Distinction. This enabled me to then enrol on the two year part-time LPC, again at the Leicester Institute of Legal Practice. Having undertaken academic studies in law over a period of approximately 8 years, I was relieved to conclude the LPC and was delighted to be awarded a Distinction. I qualified as a solicitor shortly after completion of the LPC. I became a Salaried Partner of ABD in 2016 and an Equity Partner in 2017. Logical – I am a firm believer in seeking to keep issues as simple as possible and always strive to provide clear advice to clients combined with sound reasoning. Efficient – I pride myself on providing an efficient service to all of my clients and have a strong team around me to ensure that such standards of service are always maintained. Diligent – ABD always seeks to recruit lawyers that are attentive, offer an excellent client service and have a constant drive to achieve our clients’ aims. I am no different and firmly believe in this objective. Professional – There is no doubt that the law has changed over the years and that many of my clients prefer a more relaxed approach from their solicitor than perhaps once was the case. That said, one must never forget the overriding duty of professionalism which is displayed by me and every other lawyer at ABD. Tenacious – The transactions that I work on are often complex and there is always a danger of negotiations becoming protracted. There is a certain tenacity in my approach to such transactions that clients would recognise, and which I believe is an important asset in getting a deal done. As my colleagues will testify, I love my job and have had many career highlights to date. Attending the Court of Appeal with Counsel on a case concerning the fiduciary duty of directors to avoid conflicts of interest is certainly up there in terms of my early experience. In recent times, I have derived particular satisfaction in dealing with a significant number of multi-million pound acquisitions of properties and development sites for well known developers and property investors both locally and further afield. 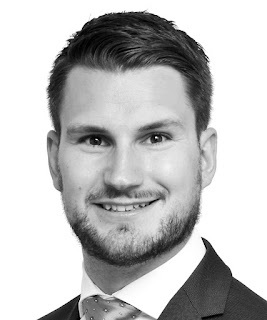 I am also particularly proud of the strong connection that I have forged with a number of property finance brokers based in and around London giving me access to a wide range of clients and contacts nationwide. I thoroughly enjoy being involved in deal-making and achieving the best possible result from my clients. It is particularly satisfying to be involved in complex transactions from their infancy and seeing them through to a successful conclusion. This is certainly where I derive my inspiration from. I am a keen golfer and am always striving to lower my handicap (often unsuccessfully). I also enjoy walking, particularly along some of the glorious South West Coast Path routes, cycling, and travelling to far flung destinations, although such adventures may have to be curtailed for the time being with a baby son now on board. I enjoy watching most sports and am an avid Liverpool Football Club fan as well as a follower of Bath Rugby.